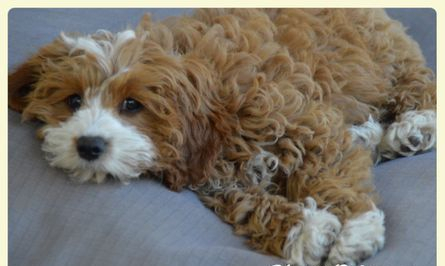 Thinking of a Cavoodle? Here you will find lots of info to assist with your decision. 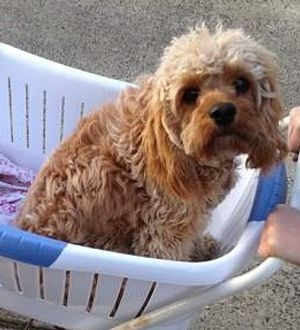 A Cavoodle is the cross between a Cavalier King Charles and a Poodle (Usually either Toy or Minature) This is known as a first generation cross Cavoodle. 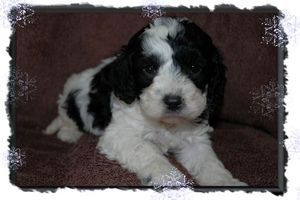 First generation Cavoodles can then be bred together to produce second Generation puppies and so on. Many Breeders will only breed first generation puppies. 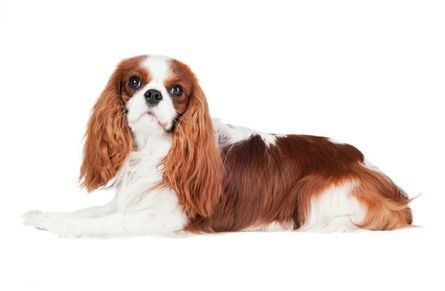 First generation puppies tend to have a more consistent look as they don't get a double up of some of the Cavalier or Poodle genes, they just get one gene from each parent. 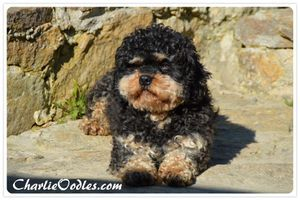 Cavaliers are also much easier to maintain as a breed as they require very little grooming so you will see a lot of breeders that have multiple Cavaliers but just 1 poodle. 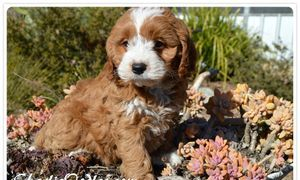 Why would you cross 2 purebred dogs to create a "Cavoodle"
This is an extremely sensitive questions amongst pedigree breeders, as many of them wont allow themselves to see the benefits of this particular cross. I understand that there are many "designer dogs" out there these days and I am also disgusted in the moral of some breeders (usually puppy millers) as they really have put no consideration into the mix they are created, its almost as though they scour the internet for dogs that are free to good home, pick them up and then bring them home and cross them with any other random dog and start marketing them as something special putting a fancy name on it. I am sure that this is what most pedigree breeders think of us also but I can put my hand on my heart and say that I genuinely consider each litter that I produce and try to bring out the best of both breeds. We carefully screen all of our dogs prior to breeding and we back up the health of our puppies with a 2 year guarantee. 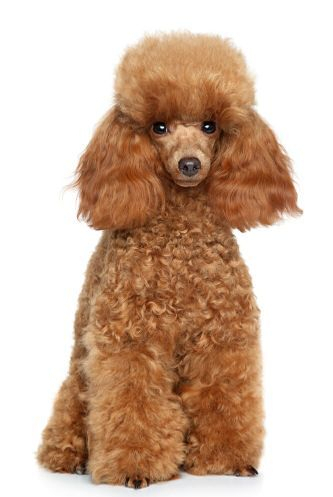 Both Cavalier King Charles and Poodles are fantastic dogs I obviously own both breeds and have had plenty of experience with them over the past decade and would never want to put either breed down , however the cross between the 2 breeds is really something special!!!! Not only do they have the most adorable teddy bear like faces, they are the MOST amazing family dogs. They have such amazing temperaments and are great with children. They are easy to train as they are always so eager to please their owners. They generally do not shed or if they do in very minimal amounts. They are not highly energetic and so make fantastic indoor dogs even in apartments or townhouses. They are non or very low shedding, which is great for asthma/allergy sufferers or just for everyone in general as who like to clean up dog hair? Especially when it attaches to your furniture. 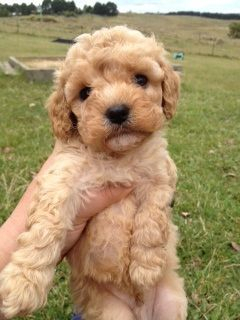 The popularity of the cavoodle really speaks volumes to their wonderful natures and success of the breed, most people that contact us looking for a puppy have fallen in love with the breed after seeing one in person, or after a friend or family member has one that they had inadvertently fallen in love with, and unfortunately many unscrupulous breeders (puppy millers) have taken advantage of this and will produce them in mass numbers in appalling conditions and sell them for extremely high prices. Sadly these breeders do not health screen their dogs and it is quite likely that if you buy a puppy from them you will have to endure a lifetime of suffering for both yourself and your puppy, and not to mention the huge expense associated with vet bills. So I cant stress enough the importance of knowing where your puppy has come from and the health history of the parents. It is very unlikely that these breeders will give any kind of health guarantee or if they do it is highly unlikely they will actually back it up if there is a problem. 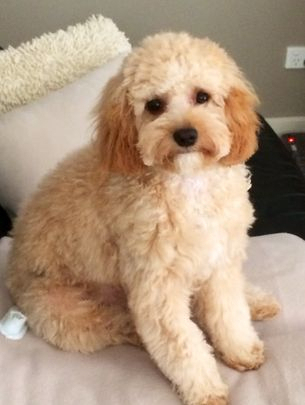 What Colours do CharlieOodle Cavoodle puppies come in? Layla is an Unusual shade of Black. She could almost be called a Blue. She started out a Black and then her colour faded as she matured. She is very pretty girl and we get lots of lovely comments about her when people come to visit. She is 14 months old in this picture. 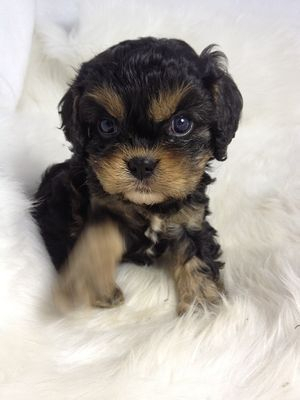 Black and Tan is a popular colour in Cavoodle Puppies. It is a dominant colour over all colours except black and so is commonly seen in all generation puppies. Some Black and Tan Puppies will have small amounts of white also. 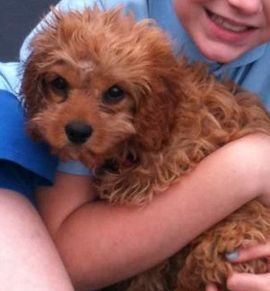 Red is by far the most sought after colour in our cavoodle puppies. There are various shades of red ranging from light almost apricot coloured Red to deep rich Ruby Red. Most Reds (excluding the deep Ruby Red) will fade as the puppy matures however the darker red colour is usually retained on the ears and muzzle. 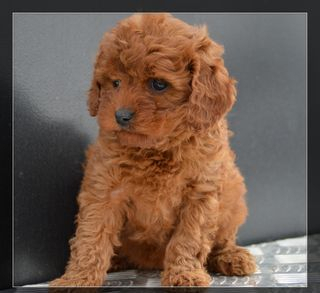 We have provided some pictures below of the various shades of red in both puppy and adult's where possible. Photo Right: Willis is a Typical Red Colour. Light Red Often Referred to as Latte by some breeders. Above is Teddy as a puppy and then right her as an Adult. 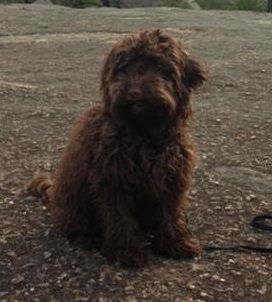 Chocolate is my Favourite colour in Cavoodles. Some Chocolates will fade to a café latte colour like Caddy on the right and some chocolate puppies will retain their rich chocolate colour through out their life. Usually the darker colour will stay rich if one parent is Black and the other is Chocolate. Where as the colour tends to fade if the colour combination of the parents is any other combination ie Chocolate/Apricot or Chocolate/Red but the amount of time a chocolate puppy spends outside will also contribute to the amount of fading. Blenheim is a traditional Cavalier King Charles Colour. 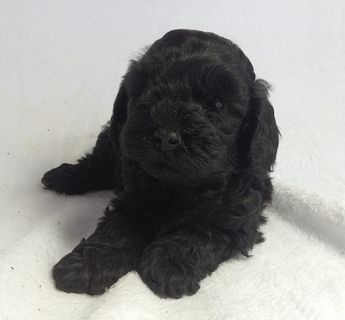 It is recessive to the solid poodle colours and so not usually seen in First Generation puppies. Occasionally the red colour will be diluted resulting in a cream and white version of the colour. see picture below. Tri Colour is another Tradition Cavalier King Charles colour. 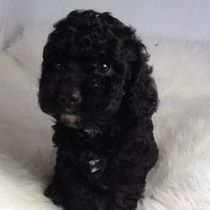 It is a recessive colour to the solid poodle colours and so not usually seen in first generation Puppies. 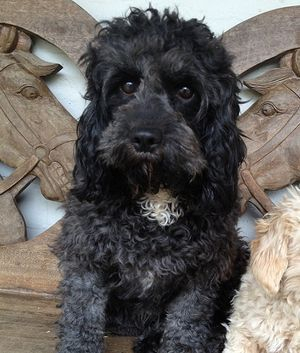 Black and White is lovely colour not often seen in Cavoodles. Its a colour that is usually only seen in second generation or above litters.